From Valdosta, Georgia, Rome was a celebrated recruit for the hometown University of Georgia Bulldogs. He was an Under Armour All-American, the 7th rated player in the state of Georgia, and the #5 rated tight end in the 2011 recruiting class. 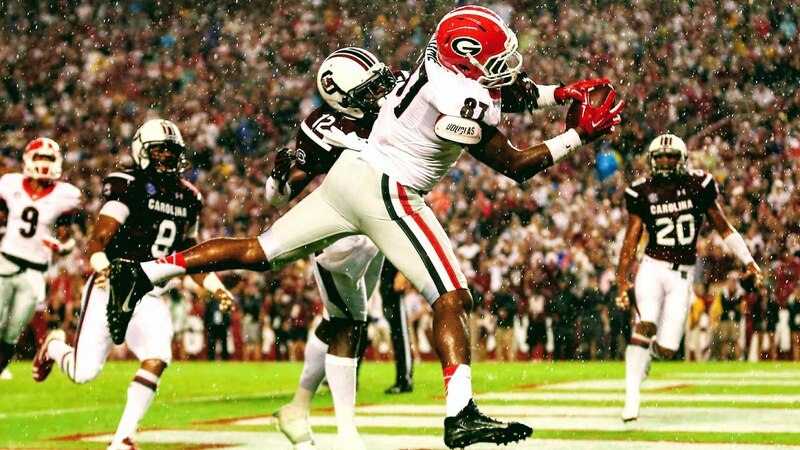 Rome’s Bulldog career was impacted by injuries, offensive scheme changes, and heavy reliance on the running game; however, he did have a few signature moments as a Bulldog, including a 19-yard receiving TD in the SEC Championship game versus Alabama. Rome showed enough promise and potential to be nominated on the 2014 Preseason John Mackey Award List despite limited opportunities. In total, Rome finished his college career with 38 catches for 398 yards and 3 touchdowns, and established himself as a two-way TE who can also throw a block. Undrafted in 2016, Rome garnered significant interest from the Pittsburgh Steelers and San Diego Chargers, ultimately signing with the Steelers. In 2018, at age 25, Rome will join The Spring League to prove to NFL scouts he has what it takes to contribute on Sunday’s. TSL WR Marvin Bracy signs with Seattle Seahawks! 2x TSL DB James Caine invited to Carolina Panthers mini-camp!